" Prepare to be dazzled, prepare to be entertained beyond your WILDEST expectations! " 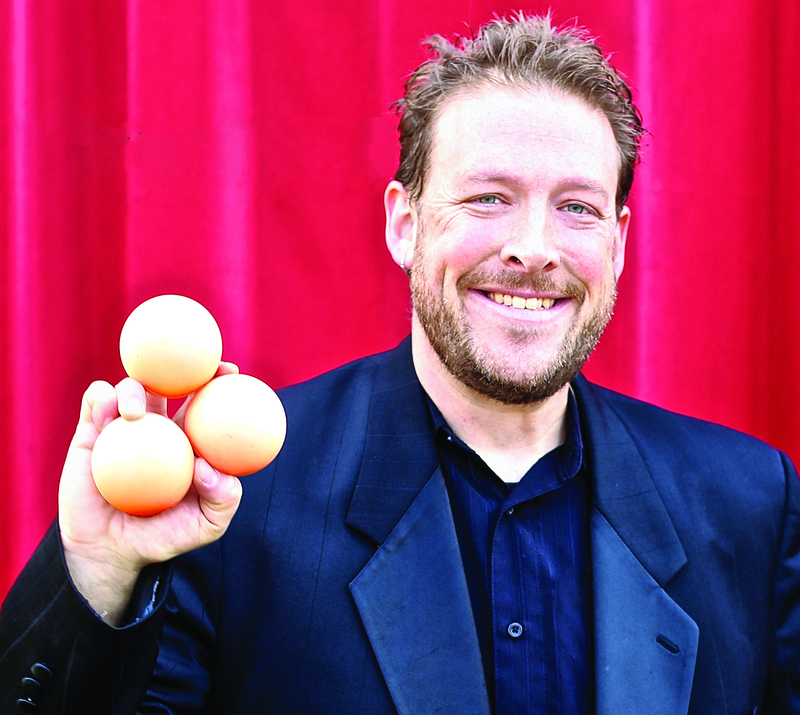 Comedian and Juggler Greg Frisbee will have you laughing out loud and keep you on the edge of your seat. 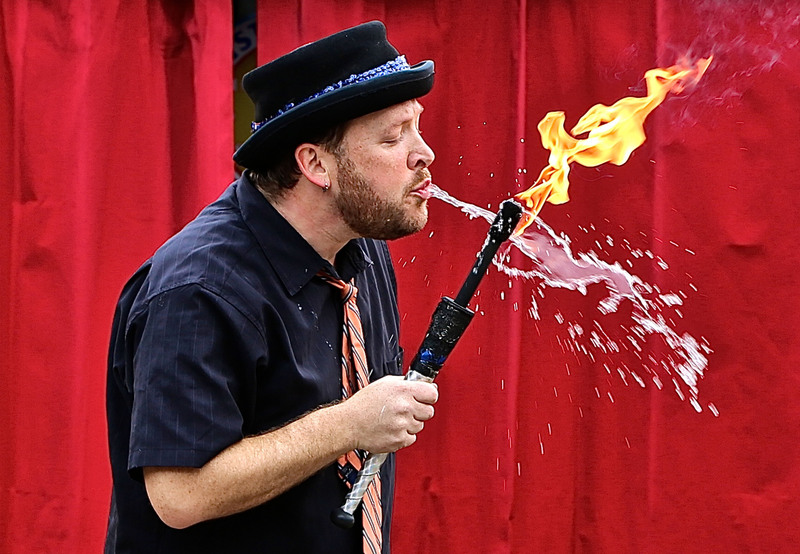 See and feel the excitement as you watch an incredible display of fire juggling…with Greg’s hands ON FIRE! Listen for the laughter as a superhero volunteer spins balls on the beaks of Rubber Chickens. Better yet, it is hard to forget! This show is highly adaptable to any audience and most any venue. The routines are 100% suitable for audiences of all ages. You can TRUST that the content and comedy are 100% clean! Give your audience more than a show, give them memories. and keep you on the edge of your seat. with Greg’s hands ON FIRE! on the beaks of Rubber Chickens.